As a long-time editor of nonfiction books--mostly cookbooks--I gradually came to devote more and more of my time to writing. My cookbooks have stemmed from my interests in food from garden to table, in culinary history, and in the cuisines of the world. 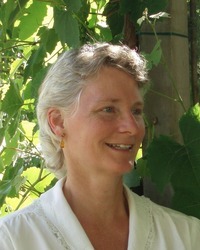 I’ve trained as a Master Gardener, I am an active Master Food Preserver, I teach preserving classes, I am a co-founder of the Santiam Food Alliance, and I am a member of the Slow Food Corvallis board of directors and the Oregon Ark of Taste Committee. I write about my gardening and cooking adventures at agardenerstable.com. We’d love your help. Let us know what’s wrong with this preview of The Secret River by Kate Grenville. We’d love your help. Let us know what’s wrong with this preview of Sometimes a Great Notion by Ken Kesey. We’d love your help. Let us know what’s wrong with this preview of Shark's Fin And Sichuan Pepper by Fuchsia Dunlop. We’d love your help. Let us know what’s wrong with this preview of On the Noodle Road by Jen Lin-Liu.